After working with many ERP vendors, Factory Insite has signed its first formal agreement with Epicor, a leader in midmarket ERP software. This allows Factory Insite to work with Epicor more closely for those customers who are a good fit for their line of ERP software. Epicor's product line consists of the Enterprise, Vantage, and Vista software for manufacturing firms. Newstex and Factory Insite have reached an agreement for Newstex to syndicate the Factory Insite corporate blog, Manufacturing Musings. Newstex, is an aggregator or wholesaler of real-time news, content and commentary. This bring Manufacturing Musings into the company of other world class blogs and makes it available to a new audience. 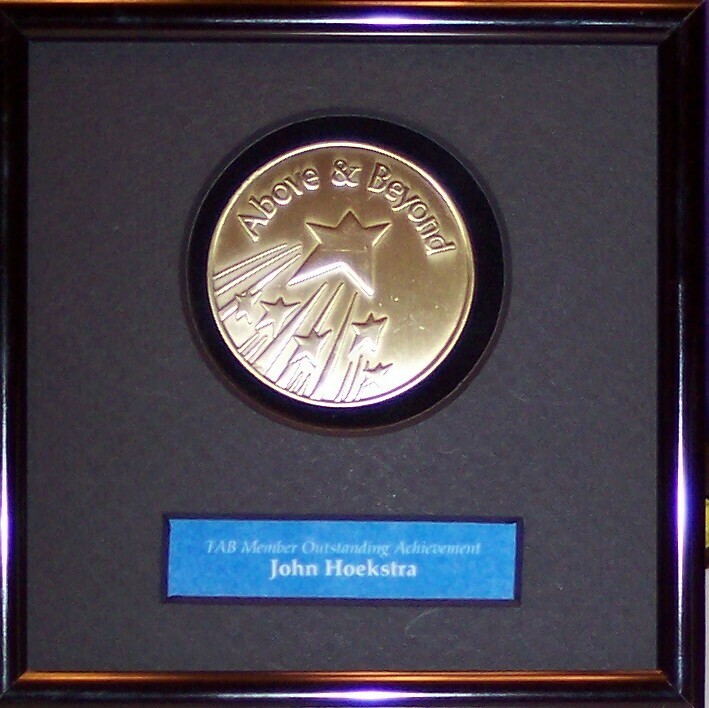 Factory Insite President John Hoekstra received the "Above and Beyond" award at the annual conference of The Alternative Board (TAB®) of Michigan. The award was presented because of outstanding achievement in business progress during the previous year. TAB® is an international private membership organization which is a proven resource for helping companies survive and prosper. Optera, the premier manufacturer of glass products for touch screens, has again tapped Factory Insite for their assistance in implementing a new generation of touch screen testing equipment. Woodward Fuel System Technology selected Factory Insite, Incorporated to upgrade their manufacturing test methodology to bring new levels of productivity to their operation. Factory Insite was selected because of their long and successful fuel systems testing work. Factory Insite worked with GM to develop testing methods for the first GM designed gasoline fuel injector. After the Delphi subsidiary was spun off from GM, Factory Insite implemented the testing methods in Delphi plants worldwide. Caterpillar is another Factory Insite fuel system customer. For Caterpillar Factory Insite implemented testing methods for diesel fuel injectors at all of Caterpillars North American Plants. The new project with Woodward FST brings the world class fuel system technology to the jet fuel valve and injector testing arena.